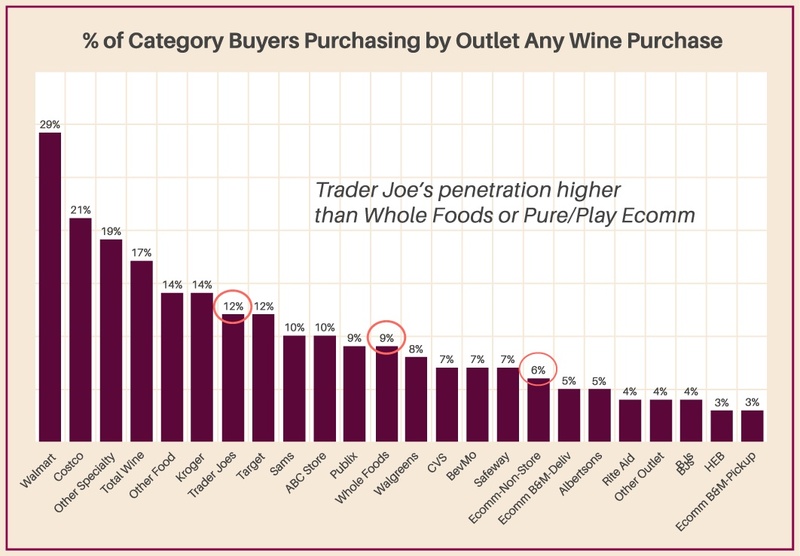 In June 2018, TABS Analytics conducted a comprehensive survey to figure out shopping patterns and opinions within the wine and liquor ("BevAlc") categories. Specifically, TABS sought to uncover 2018 wine trends and liquor trends that would be helpful to manufacturers, distributors and retailers in the BevAlc industry. In addition, we've partnered with Nielsen to bring you BevAlc (Beer, Wine & Spirits) category data that you can analyze with the QuickTABS Connect™ platform. This is invaluable for BevAlc professionals in sales, marketing and general management positions. So, for a brief overview of the state of the wine and liquor market, just read on. Founded by Dr. Kurt Jetta in 1998, TABS Analytics is a technology-enabled analytics firm aimed at simplifying and improving the way analytics for consumer products are conducted. We do this through analytical innovation, which gives our clients a strong, competitive advantage. TABS is a leading outsourced sales and marketing analytics firm in the consumer-packaged goods (CPG) industry. Shelton, CT – July 17, 2018 – As legalized, recreational cannabis becomes available in more states, it is not expected to have a significant impact on the purchasing of wine and liquor, according to the TABS Analytics 2018 Wine and Liquor Study. Similarly, consumers are not strongly influenced by brand, outlet and price when it comes to their making purchasing decisions. Even though nearly two-thirds of consumers make wine or alcohol purchases, the study shows a highly fragmented, immature market in which 27 percent or fewer of survey respondents noted they were familiar with liquor brands and only 19 percent for wine. In comparison, brand engagement for other consumer packaged goods (CPG) categories typically exceeds 40 percent to 50 percent, with customers shopping more frequently at specific outlets, while seeking discounts and other deals. TABS Analytics gives you a competitive advantage by simplifying the way you deal with your CPG data and giving you the power to easily extract actionable insights. We’re a technology-enabled analytics firm that’s been serving the consumer packaged goods industry since 1998.